The Indian film industry is the largest in the world in terms of the ticket sales and the number of films produced annually (877 feature films and 1177 short films were released in the year 2003 alone).India is a large country where many languages are spoken. According to the 1991 Census of India there are about 10,400 ‘raw mother tongues’ in India. If closely related and mutually comprehensible dialects are grouped, the number can be reduced to 1576 ‘rationalized’ mother tongues, or with even more consolidation, 114 main languages. These 114 languages are the ones surveyed in the Indian census. Indian film producers have made films in thirty of the largest languages. However, only the very largest language groups support major regional industries. These are: Hindi, Tamil, Telugu, Bengali, Marathi, Kannada, Odiya and Malayalam. Official statistics categorise Indian films according to the languages in which they are distributed. There is a great deal of mobility between the regional industries. Many workers in other regional industries, once their talent and popularity is established, move on to work in other film industries, nationally as well as internationally. For example, A.R.Rahman, one of the best known film music composers in Indian cinema, started his career in Tamil Cinema in Chennai but has since worked in Bollywood, London, and New York. Similarly, films that succeed in one language are often remade or dubbed in others. Films like Padosa and Roja, for example, were re-made or dubbed from their original Bengal and Tamil versions respectively, into Hindi. Bhojpuri dialects, varieties, and creoles are also spoken in various parts of the world, including Brazil, Fiji, Guyana, Mauritius, South Africa, Suriname, and Trinidad and Tobago. During the late 1800s and early 1900s, many colonizers had faced labor shortages and were unable to obtain slaves from Africa due to the abolition of slavery; thus, they imported many Indians as indentured servants to labor on plantations. Today, many Indians in the West Indies, Oceania, and South America still speak Bhojpuri as a native or second language. The history of cinema in Bengal dates back to the 1890s, when the first “bioscopes” were shown in theatres in Calcutta. Within a decade, the first seeds of the industry was sown by Hiralal Sen, considered a stalwart of Victorian era cinema when he set up the Royal Bioscope Company, producing scenes from the stage productions of a number of popular shows at the Star Theatre, Minerva Theatre, Classic Theatre. Following a long gap after Sen’s works, Dhirendra Nath Ganguly (Known as D.G) established Indo British Film Co, the first Bengali owned production company, in 1918. However, the first Bengali Feature film, Billwamangal, was produced in 1919, under the banner of Madan Theatre. Bilat Ferat was the IBFC’s first production in 1921. The New Theatre production of Dena Paona was the first Bengali talkie. A long history has been traversed since then, with stalwarts such as Satyajit Ray, Mrinal Sen and Ritwik Ghatak and others having earned international acclaim and securing their place in the movie history. Today, there are two Bengali film industries, one in Kolkata (Calcutta), India and the lesser known one in Dhaka, Bangladesh (called Dhallywood). The film industry based in Kolkata is sometimes referred to as Tollywood, a portmanteau of the words Tollygunge, the area of South Kolkata where this industry is based, and Hollywood. The Bengali film industry has long centred in the Tollygunge district of Kolkata (Calcutta). 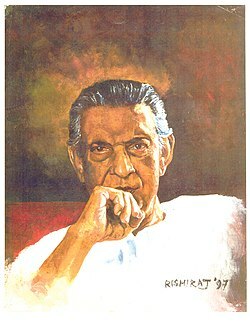 Its most famous film director is Satyajit Ray, who won an Oscar for lifetime achievement in cinema. However, Bengali films have always remained the hot favourites among the National Awards jury almost every year since its inception. Some of the most popular Bengali film personalities include Kishore Kumar, Mithun Chakraborty, Uttam Kumar, Soumitro Chatterjee, and recently Proshenjit. Some of the other Bengalis who have made it big are Ashok Kumar, Bimal Roy, Mrinal Sen, Ritwik Ghatak, Aparna Sen, Suchitra Sen, Hemanta Mukherjee (Hemanth Kumar), Manna Dey, Sandhya Mukhopadhyay, and Rituparno Ghosh. The Hindi film industry, based in Mumbai (formerly Bombay), is the largest branch of Indian cinema. Hindi film Industry is often called ‘Bollywood’ (a melding of Hollywood and Bombay). The word “Bollywood” is sometimes applied to Indian cinema as a whole, especially outside South Asia and the South Asian diaspora, but this usage is incorrect. Bollywood has been recently greatly criticized for what critics see as a violation of Indian cultural values and its discussion of controversial topics. It is considered the most liberal out of the Indian language film industries. Regional movies are distinctively different from Bollywood (Hindi) movies, as the stories and themes of these movies portray the culture of the region from which they originate, while most Bollywood movies nowadays are greatly influenced by Western culture. Although Bollywood does not distribute a lot of films, it can be considered to be largest in terms of viewers. It is believed that Bollywood movies are watched by majority of the Indian movie goers. It also has international recognition, especially in Western countries such as the UK, USA, Canada, and Australia where there is a large South Asian community. The Kannada film industry, based in Karnataka, is sometimes called ‘Sandalwood’, as Karnataka is known for its sandalwood; however, this term does not seem to be in widespread use. The Gubbi Veeranna Company, or Veeranna’s Sri Chennabasaveshwara Krupa Poshita Nataka Sangha and other groups established themselves first as theatre troupes, and later went on to dominate kannada cinema into the 1960s. “They provided all its key directors like H.L.N . Simha, B. R. Panthulu and G. V. Iyer, its stars led by Rajkumar and Leelavathi and most of its early commercial hits: Bedara Kannappa (1953), for instance. The first big success in Kannada cinema adapted a Gubbi Company stage play written by G. V. Iyer to introduce the mythological adventure movie into that language.” Kannada films has become very popular after the recent hits like Jogi (2005) & Mungaru Male (2007). Mungaru Male has been the first Indian movie to be screened in many European countries. The Kashmiri film industry, which had been lying dormant since the release of Habba Khatoon in 1967, was revived after a 39-year hiatus with the release of Akh Daleel Loolech in 2006. However critics dispute this claim because this film was a small budget digital film which did not play in any film theatres except in a few private and film festival screening. Besides Akh Daleel Lolach uses a film style which is common on Kashmiri television and by those standards Kashmiri video makers were making films since early 1980s. Cinema halls had been shut down for a long time in Kashmir, by militants protesting against the New Delhi based Government. There are few cinema halls and a handful of directors have been returning to shoot in the region. Though the region was favoured by many producers as a scenic locale in pre-militancy era Bollywood movies as a romantic backdrop, the regional industry was not very strong, due to lack of finances and infrastructure. The Malayalam film industry, based in Kerala. Malayalam movies are known for their artistic nature and they frequently figure in the national film awards. It is also currently known for being the most conservative out of the different film industries in India, despite the fact that it went through a liberal phase in the 80’s. Notable personalities: filmmakers, Padmavibhushan Adoor Gopalakrishnan, Bharathan, Aravindan, Padmarajan, John Abraham; Sreenivasan, Shyamaprasad, Kamal, Renjith scriptwriter, M. T. Vasudevan Nair, Sreenivasan; cinematographer, Azhagappan, Santhosh Sivan, Shaji; actors, Bharath Gopi, Tilakan, Padmabhushan Prem Nazeer, Satyan, Padmashri Mammootty, Padmashri Mohanlal, Padmashri Balachandra Menon; playback singers, Padmabhushan Dr. K. J. Yesudas, Padmasree K. S. Chitra, P Jayachandran, M G Sreekumar and Sujatha. The first 3D film which produced in India was in Malayalam. Its name was My Dear Kuttichatthan produced by Navodaya Productions. Padayottam, the first fully indigenous 70MM film with all its work done in India was in Malayalam which was also produced by Navodaya. The fist Cinemascope film in the world was produced in Malayalam. Chemmeen was the first film which earned a gold medal from the President from South India.”Guru”, directed by Rajiv Anchal, is the only Malayalam film proposed as the Indian entry by the Indian Film Industry council for Oscar Award so far. Marathi Film Industry, one of the oldest film industries in India, originated in Nasik, and developed in Kolhapur and Pune. In recent years, it has moved mostly to Mumbai (Bombay), Maharashtra. Dadasaheb Phalke, recognized as the father of Indian cinema, was a pioneer of movies in Marathi. He produced the first Indian silent movie, and later some Marathi talkies. In his honor, a much coveted “Dadasaheb Phalke Award” is given annually for exceptional contribution to Indian cinema. 1940s and ’50s formed the classical era of Marathi cinema, mainly because of some hallmark productions by the now extinct “Prabhat Film Company” in Kolhapur. As an offshoot of Prabhat, V. Shantaram founded “Rajkamal Studios” in Pune, and produced some excellent Marathi movies in the late 1950s and early ’60s. Because of the rise of Hindi movies in Bollywood, Marathi film industry underwent a decline in the 1980s and ’90s. But recently it has been reviving with some quality movies like “Shwaas” (which earned an official Indian entry for an Oscar award in 2004), “Pak Pak Pakaak” (which won Swarovski Trophy in AFFF, Singapore, in 2005), “Uttaraayan”, “Aga Bai, Arecchaa”, “Shubhamangal Saavdhaan”, and “Saatchya Aat Gharaat”. Bhalji Pendharkar, Baburao Painter, V.Shantaram, Dada Kondke, Raja Paranjpe, Mahesh Kothare, Smita Talwalkar, Sumitra Bhave, Sunil Sukthankar, Gajendra Ahire, Jabbar Patel, Amol Palekar, and Kedar Shinde are some of the notable directors and producers in Marathi cinema in the past few decades. Modern Marathi actors include Dilip Prabhavalkar, Bharat Jadhav, and Sanjay Narvekar. While some old Marathi movie songs remain popular, new composers like Ajay-Atul have been producing some very popular songs. Some of the old songs have also been remixed. The Tamil film industry (Kollywood), based in the Kodambakkam area of Chennai is one of biggest film industries in India. Popularity and collections wise, the Tamil film industry is third only to the Hindi and Telugu film industries. Tamil films have enjoyed consistent popularity among Tamil speakers in India, Sri Lanka, Singapore, Malaysia and Mauritius. Tamil films also receive fame in countries which contain Tamil immigrant communities such as the United States, United Kingdom, Canada, and other European countries. Kollywood remains third to Bollywood in India commercially and financially. Several technicians have crossed industries to encapture National fame such as Mani Ratnam, Selvaraghavan, A. R. Rahman, Shankar, Ravi K. Chandran and Jeeva. However unlike the technical counterparts, artistes from South India tend to fail to break into Bollywood, with only a handful breaking through, them being: Kamal Haasan, Sridevi, Madhavan, Siddharth Narayan and Asin Thottumkal. Ironically, several Bollywood actresses made their débuts in Kollywood, with Aishwarya Rai appearing in Iruvar, Priyanka Chopra in Thamizhan, Lara Dutta in Arasatchi and Sushmita Sen in Ratchagan. Furthermore, several actresses have done Tamil films while struggling to breakthrough in Bollywood, such as Kajol and her sister, Tanisha as well as Amisha Patel. In the Tamil film industry, directors such as K. Balachander, Shankar, Ameer, Bala, Bharathiraja, Balu Mahendra, and Mani Ratnam have achieved box-office success whilst producing films that have balanced art and popular elements. The Tamil film industry accounts for approximately 1% of the gross domestic product of the state of Tamil Nadu. Costs of production have grown exponentially from just under Rs.4 million in 1980 to over Rs.110 million by 2005 for a typical star-studded big-budget film. Similarly, costs of processing per print have risen from just under Rs.2,500 in 1980 to nearly Rs.70,000 by 2005. There has been a growing presence of English in dialogue and songs as well. It is not uncommon to see movies that feature dialogue studded with English words and phrases, or even whole sentences. Some movies are also simultaneously released in two or three regional languages (either using subtitles or several soundtracks). Contemporary Tamil movies often feature Madras Bashai, a colloquial version of Tamil spoken in Madras. A select few, Iruvar and older films based on epics, for instance, employ literary Tamil extensively in dialogues when the situation calls for it. Many Tamil films are also dubbed into Telugu and Hindi and released in their respective states. The Release of Robot Starring Rajini Kanth directed by supremo Shankar is expected to make a history in Indian Cinema. Robot is Director Shankar’s dream project. The Telugu film industry is based in Andhra Pradesh’s capital city, Hyderabad is second biggest industry in India after “Hindi” industry. The state also has what is claimed to be the largest film studio in the world, Ramoji Film City. The first studio for Telugu talkies was Vel Pictures, constructed in 1934 by P.V. Das, located at Madras. The first film made here was Sita Kalyanam. The first film made by a Telugu person, R.S. Prakash, was Bhishma Pratigna (The Pledge of Bhishma, 1922). Another important Telugu personality of this era was Y.V. Rao (1903-1973), an actor and director, whose silent film (directing) credits include Pandava Nirvana (1930), Pandava Agnathavaas (1930) and Hari Maya (1932). The first big movies in Telugu were made by the Surabhi Theatres troupes. They produced the first Telugu talkie, Bhakta Prahlada, directed by Hanumappa Munioappa Reddy in 1931. In the first few years of Telugu talkies, films were all mythological stories, taken from the stage. In 1936, Krittiventi Nageswara Rao made the first Telugu film not based on mythology, Premavijayam. The film influenced other Telugu film-makers into making such films. Some popular themes of these films (often called ‘social’ films) were the feudal zamindari system (Raitu Bidda, 1939), untouchability (Maala pilla, 1938), and widow remarriage. Since then, there have been both social (contemporary) and mythological or folk stories in Telugu cinema. In the Telugu film industry, directors such as Kasinadhuni Viswanath (K.Viswanath), Ram Gopal Varma, Jandhyala, Krishna Vamsi and Singeetam SreenivasaRao have achieved box-office success whilst producing films that have balanced art and popular elements.Most number of Guinness records are in the telugu industry.Most number of films directed.most films produced by a producer.most number of songs sung by a male singer.and more .telugu Films have large box office collections in United States and England (UK) and most popular among the Indian abroad. Telugu files are also Remaked and Dubbed in other languages like Tamil,Malayalam and Kannada and will be release in respective states. Telugu films are released in Andhra Pradesh, Karnataka, East Maharastra, Orissa and few parts of West Bengal. Telugu movies are released world wide in United States, Canada, parts of Europe, South Africa, Malaysia and Singapore.